"Think, create, feel and share." Marc S. Salamat is a Fine-arts graduate from Bulacan State University major in Advertising. He was a senior graphic designer at Velocity Made Good Inc for five years until he decided to pursue his passion in painting. 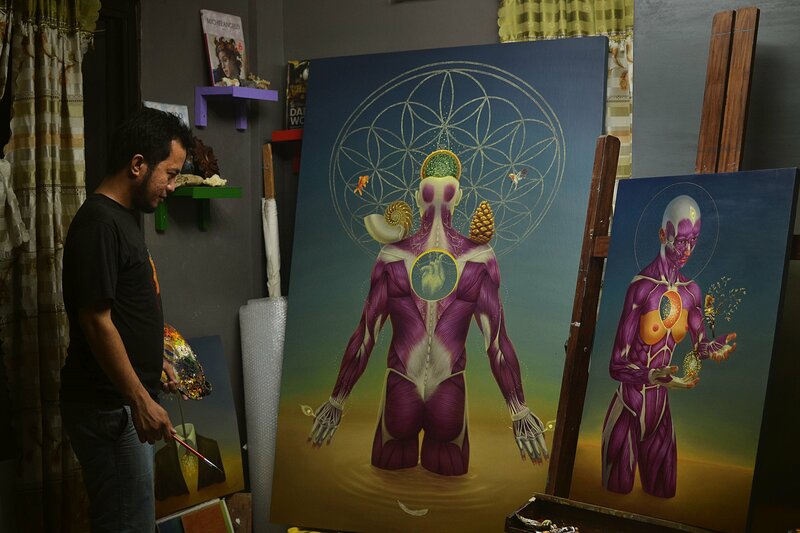 He is currently a fulltime artist, holding his own studio in his native town in Hagonoy, Bulacan, Philippines. "We are all one and we are all connected."